Lotus Challenge is perhaps a significant entry to IGCD, for the simple fact that it has the most extensive offering of Lotus cars available in a game at the moment - as is probably graspable from the title, the game is purely comprised of playable Lotus cars and because of this, the collection of cars available is marvelously extensive to the Lotus brand. 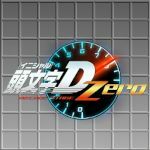 Unfortunately however, once you steer away from the statistics and actually play the game, it is a complete and utter letdown. Every selectable car handles like soap, accelerates like the Titanic and certainly does not entice me to purchase a Lotus in my life. Easily the worst handling game I have had to play to date, simply because the steering shows no signs of precision or accuracy, which is not entirely desirable for negotiating corners with. Judging from recent sole car manufacturer games in the past, it doesn't look like the trend is all that successful. Porsche Challenge wasn't bad, but the Ford Racing series have been consistently bland and soggy, which the same could also be said for Lotus Challenge. I am just waiting for a Daihatsu Challenge to arrive on the scene. Apologies for some of the lower quality captures. Yes, but it was somewhat limited if I remember. Since I have both PC and GC version right now, in the GC version there are few unlisted cars here. I`ll go ahead and post pictures of them. Feel free to replace them with PC shots if you want, they were quite poor quality. If you do then please try and get shots from the replays like I did. I plan to take pictures from both GC and PC vesion of the game. Great! Looking forward to them. Hope you like my GCT interview, by the way. Uploaded the 2001 Proton Satria GTI. Nice, but do you think you could crop out the borders in future? Did you do that on an emulator? Probably what Lotus IV would've been if they carried on the series. I loved this game for the fact it had British city roads in it, and I would sometimes pretend I was doing a sunday drive. BTW, on the intro, the screen is meant to shake. Don't ask me why. Looks like the developers wanted to give us a headache before we even started the game. ItsaUserName wrote BTW, on the intro, the screen is meant to shake. Don't ask me why. Looks like the developers wanted to give us a headache before we even started the game. I guess you never did play Lotus Challenge. The intro is not meant to shake at all, it's the YouTube 'Improve Video' crap that does that. If I have time I will upload my HD version of it. Well I don't know what version of the game I had. Although I did acquire it for PC via unorthodox means. 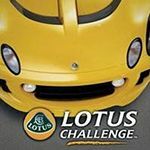 The XBOX-version is called: "Motor Trend presents Lotus Challenge".